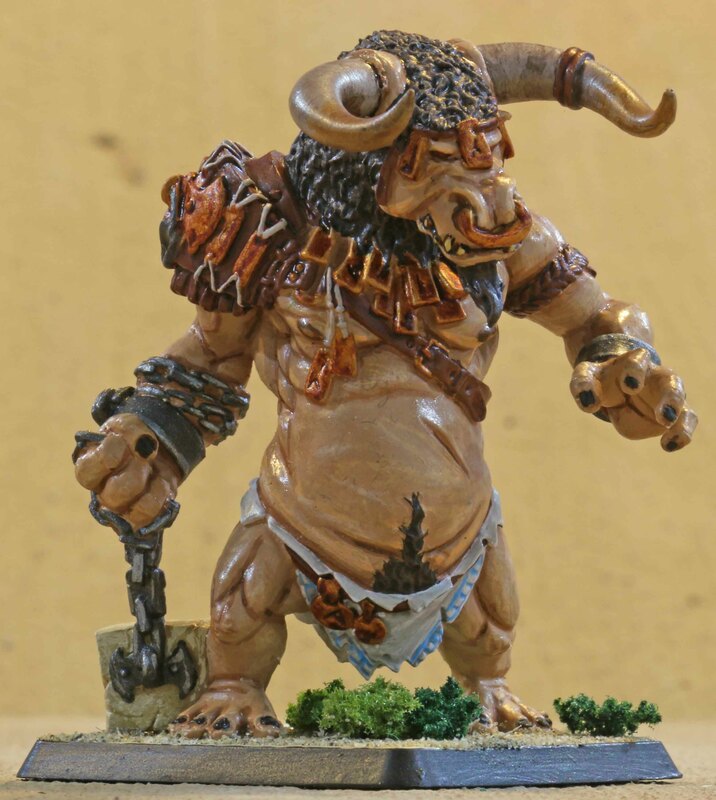 When it comes to the them rounds on the Analogue Hobbies Painting Challenge, it seems like those I was looking forward to and those I do not alternate. Fortunately this is one of those I was really looking forward to. I have for a long time been a great fan of Crocodile Games Wards of Ægyptus and Wards of Olympus ranges. So I had an abundance of yet unpainted mythological miniatures from both Egypt and Greece to choose from. And an easy choice it was. 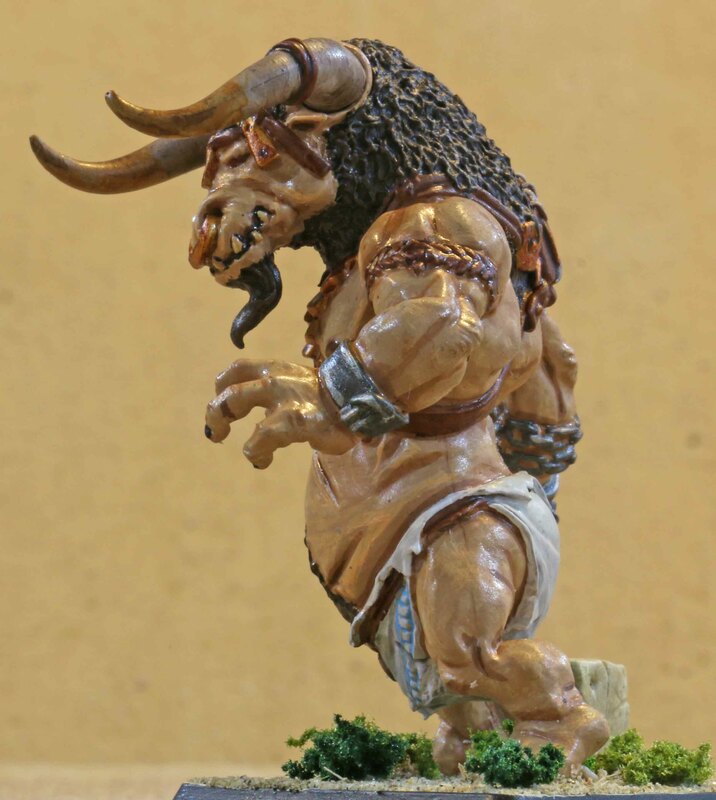 One of the mythological figures that always captured my imagination (and this was only enhanced by a trip to Crete as a child) was the Minotaurus and since I had one in my lead pile I chose it for this round. 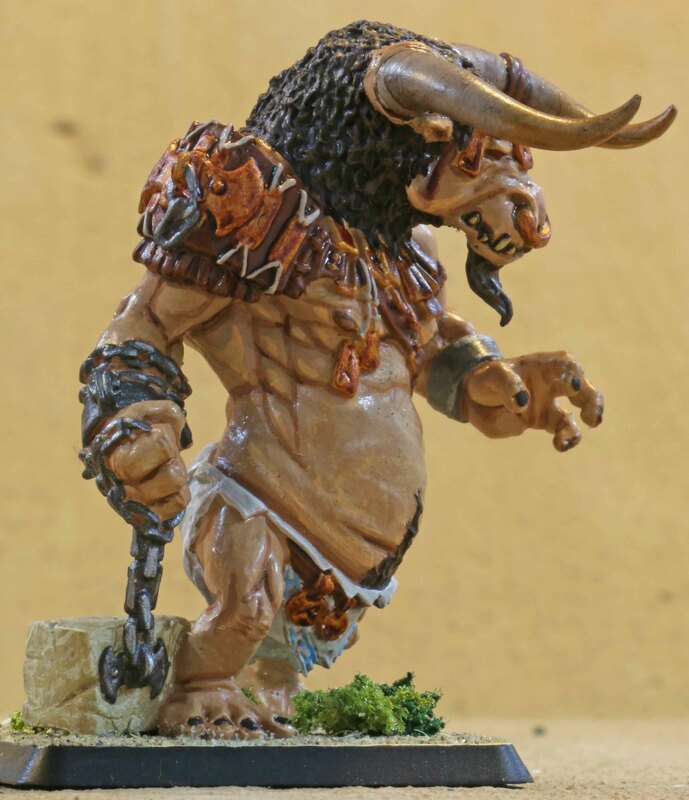 Now Crocodile Games actually have two Minotaurs, but I always liked this one better. You can still see the chains that were used to chain it to the labyrinth. But if you look closely at the flail he has, you can see that it is actually one of the stone blocks that he was chained to. He ripped it from the wall and now what used to keep him, is his weapon of choice. But now on to something more somber. When Crocodile Games started off over a decade ago, there were many people who helped get things started. Deane P. Goodwin was one of them and over the years I found him to be a very kind person, who was always forthcoming with great advice and good-natured comments. Although I never met him in person, he was one of those people whom I really enjoyed seeing on the internet. So I was greatly saddened to hear that he had passed away about a week ago, just a week shy of his 62nd birthday. So I would like to dedicate this theme round entry to him. Rest in Peace Deane, you will be sorely missed!! !